We live in one of the houses that was badly damaged and was rebuilt in the Victorian style in 1948/9. The cellar is still Victorian. You can see the difference in the rebuilt houses and the originals if you look at the windows and the brick work around the windows. That’s really interesting! 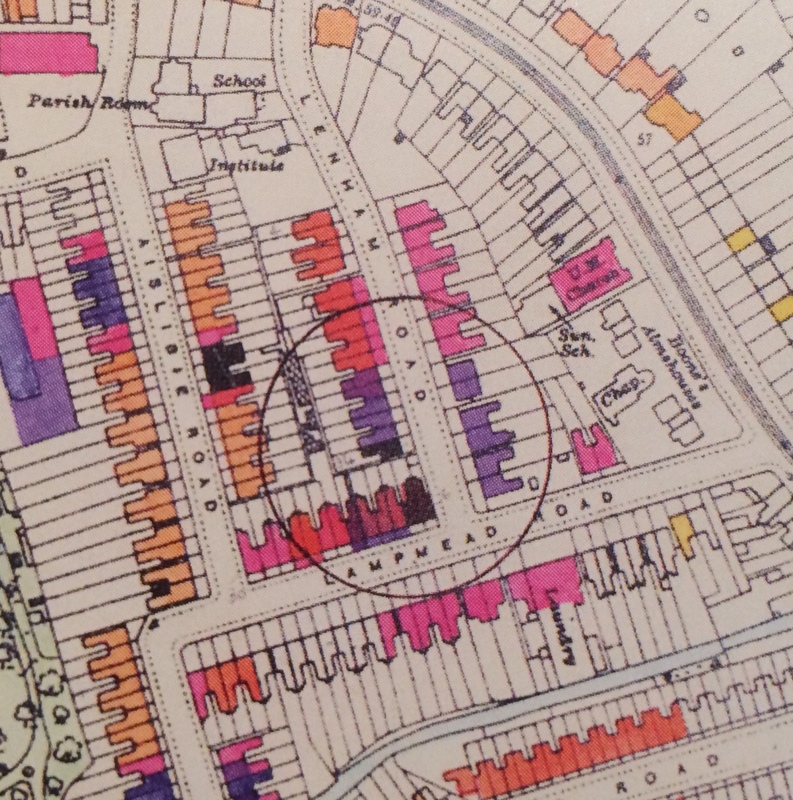 It seemed to happen a fair bit – there are several houses in the area from the LCC Bomb Damage maps that are shown as uneconomic to repair but survived. 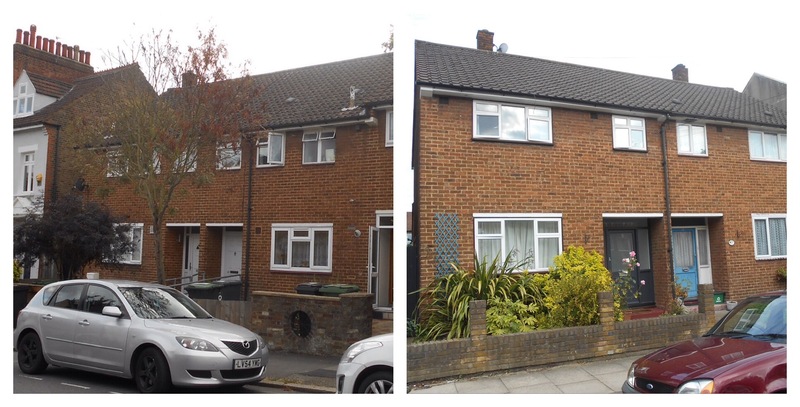 About 15 years ago we nearly moved to Sydenham, one of the houses we looked at was rebuilt so from the outside you have to look very hard indeed to see the differences. Inside was very different – the then owners had decided to rebuild it 50s style – there were loads of period features from that era! I did a few in 2018 – for QWAG, the Blackheath Society and the Hither Green Festival. I expect that I’ll re-run the HG Festival one sometime during May and I have offered to do a walk(s) as part of the Manor House Gardens Festival this year – a loop around the edge park. I’ve agreed to do that walk with the Lee Manor Society too, while we haven’t fixed the date yet, I expect it will be one June evening when nights are long. I am also doing a talk on Old Road for the LMS AGM in September. Thanks for asking – will try and remember to let you know via Twitter when things are firmed up. That would be great. I have been doing history walks with City Lit and thoroughly enjoyed them. It would be good to see something closer to home and as I say a few of our friends would be interested. 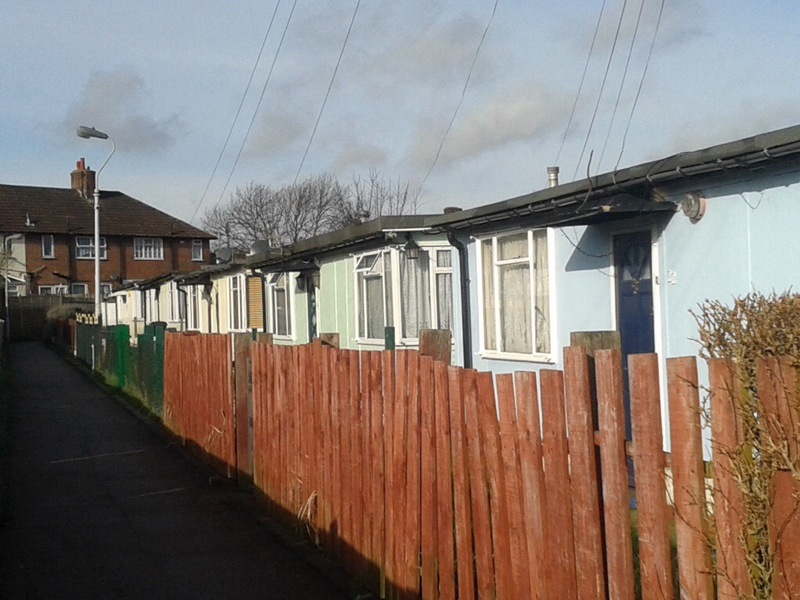 I think walks are the best way to ‘see’ local history particularly when looking at how the urban landscape has evolved. My family lived in Lampmead Road at 29 one of the Victorian houses (built 1885) coloured light red in the map from the mid 1950s to 2012. It was badly damaged by having the front and roof completely blown out leaving the rear of the house structurally defective. I believe it was repaired in September 1946. 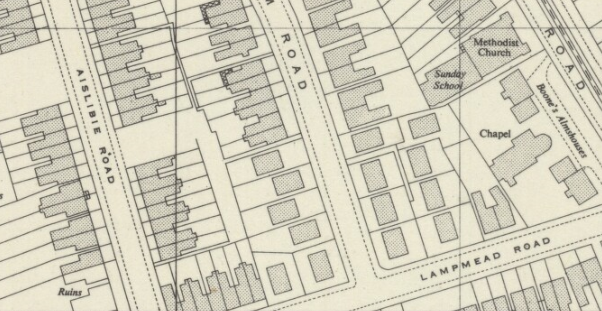 My Mother’s family lived in Lee from around 1900 (Brightfield Road) and my Father’s from circa 1914. They never mentioned the fact that it was a V1, I thought it was a number of HE bombs that fell in 1940/1, strange. That’s really interesting! I don’t think that it was a HE bomb there, there is nothing on the Bomb Site map which shows anything during the Blitz (although there could have been damage in 1943). 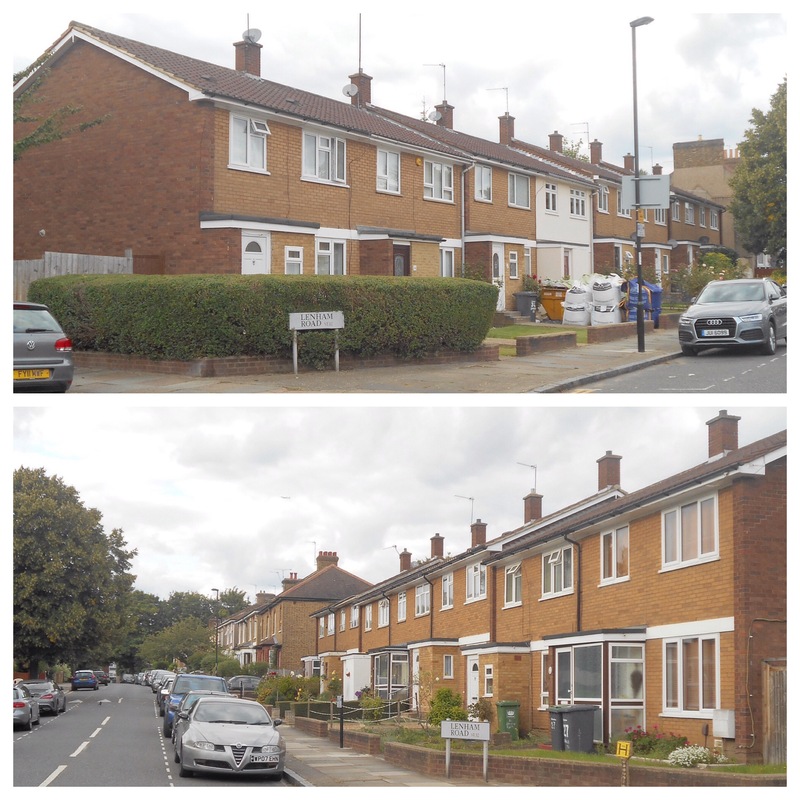 It could have been different on Lenham Road, where things were a lot more confused by multiple bombings.